jcabi-aether — wrapper of Sonatype Aether. jcabi-aspects — useful AOP aspects, incl. JSR-303. jcabi-beanstalk-maven-plugin — AWS Elastic Beanstalk deployment. jcabi-dynamo — Amazon DynamoDB Object Layer. jcabi-dynamodb-maven-plugin — DynamoDB Maven testing plugin. jcabi-email — Email sending client. jcabi-http — Fluent and Immutable HTTP Client. jcabi-github — Object-Oriented Github API. jcabi-jdbc — fluent wrapper of JDBC. jcabi-log — wrapper of SLF4J logging facility. jcabi-manifests — utility class reading META-INF/MANIFEST.MF files. jcabi-matchers — Hamcrest matchers for XML and XHTML. jcabi-maven-plugin — supplementary Maven plugin. jcabi-odesk — Object-oriented Adapter of Odesk RESTful API. jcabi-s3 — Object Layer on top of AWS S3 SDK. jcabi-ssh — Simple SSH Client. jcabi-ssl-maven-plugin — SSL keystore generator Maven reactor. jcabi-maven-skin — Maven Skin, used in this website and many others. jcabi-maven-slf4j — Maven Log binding for SLF4J. jcabi-mysql-maven-plugin — Maven Plugin for MySQL Integration Testing. jcabi-simpledb — Object Layer on top of AWS SimpleDB. jcabi-urn — Java implementation of Uniform Resource Name (URN). jcabi-velocity — simple wrapper of Apache Velocity. jcabi-w3c — adapters to W3C online HTML/CSS validation service. jcabi-xml — XML Parsing and Printing made easy. Besides that, com.jcabi:parent is a very useful generic parent Maven pom.xml. JetBrains is supporting us with its powerful IDE. 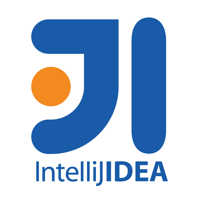 We highly recommend to use IntelliJ IDEA for Java development. YourKit is kindly supporting us with its full-featured Java Profiler. We highly recommend to use it for profiling of your Java apps. xembly — Imperative Assembly-like XML modification language and library. phandom — Java DOM manipulations powered by PhantomJS.